The Adventure Pass is only available from Memorial Day - Labor Day. Still looking for a full day of fun? 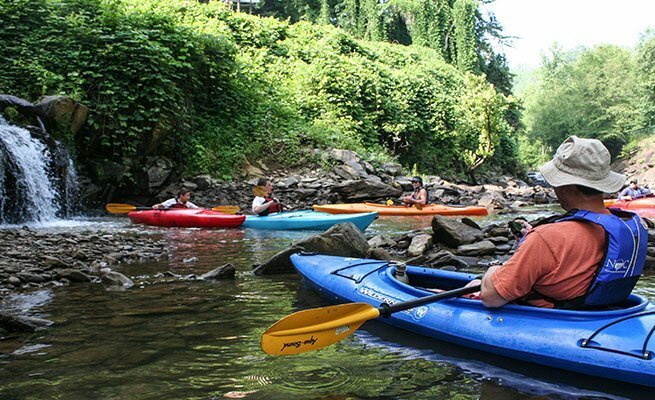 Explore the trees and rivers of WNC with the River-to-Ridge trip. Just interested in rafting, check out our Nantahala Fully Guided trips or explore one of our 7 other rivers across the Southeast. 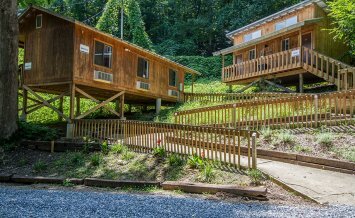 The Nantahala Adventure Pass is hands-down the best value for a full day of fun. 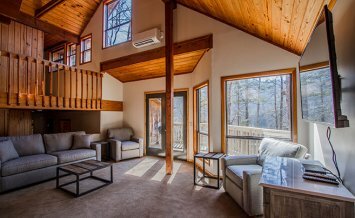 Combine four of NOC’s most popular activities—whitewater rafting, the Zip Line Adventure Park, Fontana Lake tours and mountain biking—and enjoy savings of close to $100. Brand new for 2018: a climbing wall with three new stations in the Adventure Park! 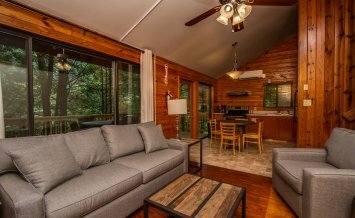 Schedule your day of adventure by first selecting a time for a fast and exciting run down the crystal-clear Nantahala River. You may choose to rent your own raft or inflatable kayak, or journey down the river with a highly skilled whitewater rafting guide. Whether rafting in the morning or the afternoon, another must-do adventure is the ZLAP, NOC's Aerial Adventure Park, where you’ll tackle 16 climbing, balancing and swinging obstacles while 40' in the air and then race down the 550' Wesser Zip. Don’t stop there! 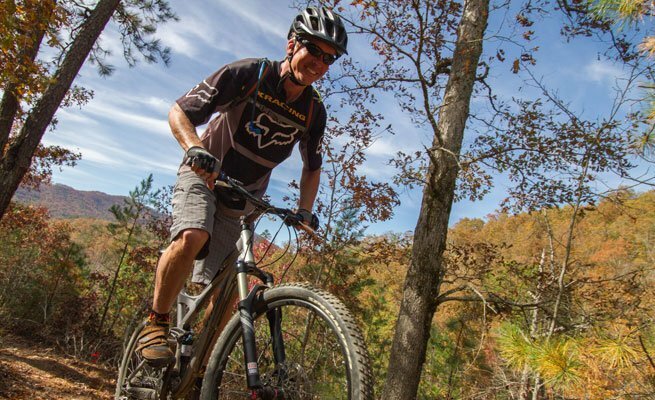 You can still fit in a mountain bike adventure on Flint Ridge Trail, an easily accessible loop with beautiful views of the Nantahala National Forest and the river below. 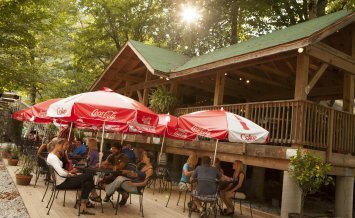 Or choose your watercraft of choice, a kayak or stand-up paddleboard (SUP) and embark on a scenic tour of Fontana Lake, where waterfalls and wildlife are abundant. 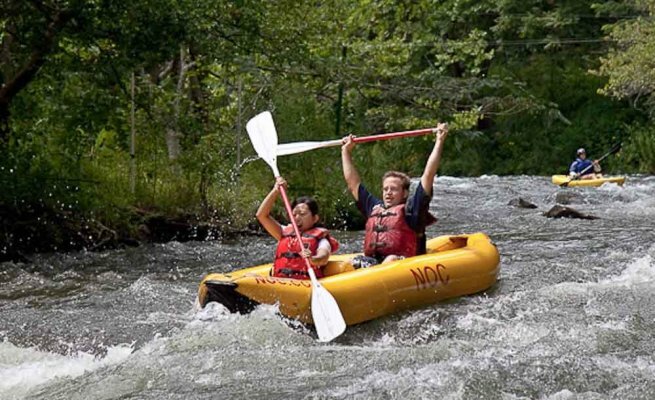 This is NOC’s most convenient and popular multi-activity offering and is perfect for all adventure seekers!